Discussion in 'Hair Care Tips & Product Review Discussion' started by BeautifulFlower, Feb 15, 2011. Any tips or videos that you suggest? I will come back with links! faithVA and Pygmy_puff like this. Trying to find where to post this video. I made three wigs for 2019 on the sewing machine. ItsMeLilLucky, faithVA and AlmostTamed like this. faithVA, ItsMeLilLucky, gn1g and 2 others like this. Wearing my hair in this updo. The style video is here! futureapl, Lita, Maracujá and 12 others like this. I made an attempt to straighten my hair and the humidity got to it right away. I should know better than to hope but at least I got my trim. Sorry for the picture quality but my room was super dark and I was tiredt. I Am So Blessed, Lita, Maracujá and 11 others like this. Update to show that the bun looks nice enough actually. PlanetCybertron, Charmingchick1, Maracujá and 16 others like this. First time straightening in over 2 years! I got some long layers added ,and curled it for volume. I plan to milk this for about 3 weeks. My roots puffed almost immediately though lol. When the curls drop I'll actually do my length check, but as of now I'm satisfied. I did make myself use 'lower' temps I usually press with 450 degrees but this was a combo of 410 and 430 with my EAP. Edit* looking at this pic makes me want to add some highlights but I'm still scared of bleach lol. BeautifulRoots, chocolat79, betteron2day and 12 others like this. While this mimics my hair beautifully....this here is a wig! Reinventing21, PlanetCybertron, I Am So Blessed and 14 others like this. Reinventing21, PlanetCybertron, betteron2day and 8 others like this. I’m in the midst of washing my hair after taking down my yarn braids, so I thought I’d snap a pic real quick. I slathered some leave in spray, Knot Sauce, and Shea Butter while I was removing the shed hair. I Am So Blessed, faithVA, GraceandJoy and 5 others like this. Please, please post these photos in the Shea thread, pretty please. Lita, faithVA, GGsKin and 1 other person like this. Lita, faithVA, GGsKin and 2 others like this. I wore the curls for about a week, maintained with pin curls. My roots didn't hold for nothing lol, a week later I flat ironed on low heat to see the length and to trim. Major trim coming soon but for right now I'm holding on to those bad boys lol. My hair has never been this long, looking forward to adding rice water into my routine and wearing my hair out a little more often. I plan to do a faux wand curl set with my flexi rods in a couple of days. Lita, faithVA, GGsKin and 9 others like this. Lita, faithVA, GGsKin and 3 others like this. Maracujá November 2019 --> 13 years natural!!! PlanetCybertron, k_enitan, CurlyWhoCrux and 8 others like this. Can you share your regimen, please? Lita and faithVA like this. Not sure if I have definite regimn but I'll try lol. For 2018 my hair was in a protective style for about 70% of the time. I used lace wigs (glued down) sew ins, faux ponytails/ buns as my most common styles. I wash biweekly even with my protective styles. No specific brands of shampoo or anything. 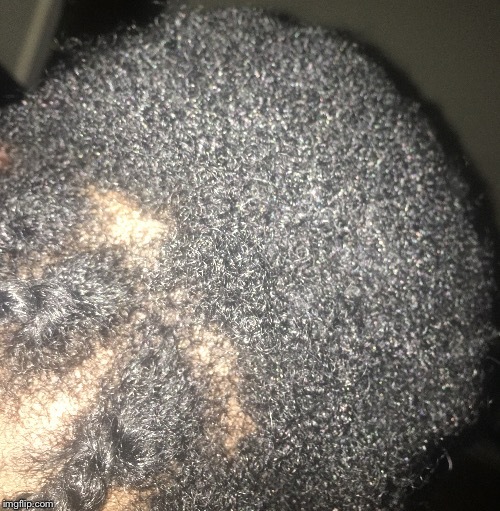 I began regularly prepooing with TMC 6 months ago , really softened out the tangles before wash day. 8/10 I also follow up with a random DC. I moisturize as needed ( usually every other day) with S Curl, and drench with random oil to seal. I also dye my hair jet black quarterly with 20 volume developer and joico permanent hair dye. I have been natural since 2013 but plateaued around 2016 but recently my hair has been growing. I attribute the growth to finding out what products actually moisturize my hair ( TMC & S Curl) and protective styling. I blow dry my hair when I braid it up for my protective styles, my hair is much more manageable when blown out. I rock occasional wash and goes when I feel like wearing it down, in between styles. I trim quarterly usually I skipped my last one as you can see in the pic lol. gbunnie, Lita, MzSwift and 4 others like this. Thank you for the detailed response. What is TMC butter? faithVA and AlmostTamed like this. shawnyblazes, faithVA and Chicoro like this. How long have you been using this butter? naturalagain2, shawnyblazes, ItsMeLilLucky and 4 others like this. I have been using I think for a little over 3 months still on my first tub. A little goes along way, I love this for moisturizing my blown out/ stretched hair doesn't cause any reversion. shawnyblazes, faithVA, MzSwift and 2 others like this. I knew it! I can spot a Shea head like an eagle on night duty. I'm going to tell! I'm running over to the Shea thread NOW! naturalagain2, GGsKin, MzSwift and 6 others like this. naturalagain2, GGsKin, ItsMeLilLucky and 3 others like this. From earlier. No flash, just natural sunlight. 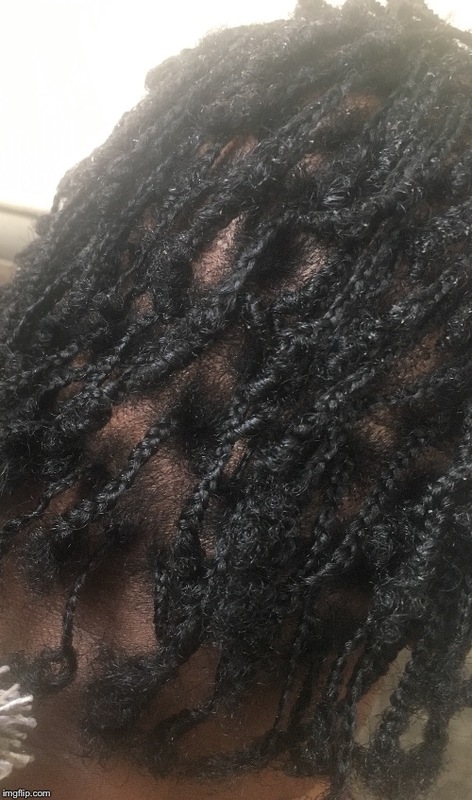 Literally just X21 and the Melanin Twist Creme. SAPNK, faithVA, GGsKin and 3 others like this. I fell asleep before stretching my hair. I was “air drying” If you can’t tell, it’s shrunk to my scalp. I’m just doing some twists to hold me until I get my hair trimmed this week. PlanetCybertron, MzSwift, SAPNK and 1 other person like this. melisandre, Chicoro, GGsKin and 3 others like this. @Prettymetty Ooh, you look pretty. MzSwift, Chicoro, shawnyblazes and 1 other person like this.